Kenya has submitted the names of nine individuals to represent her in the East African Legislative Assembly. Speakers Justin Muturi (National Assembly) and Kenneth Lusaka (Senate) wrote to the EALA clerk to notify them of the elected officials. 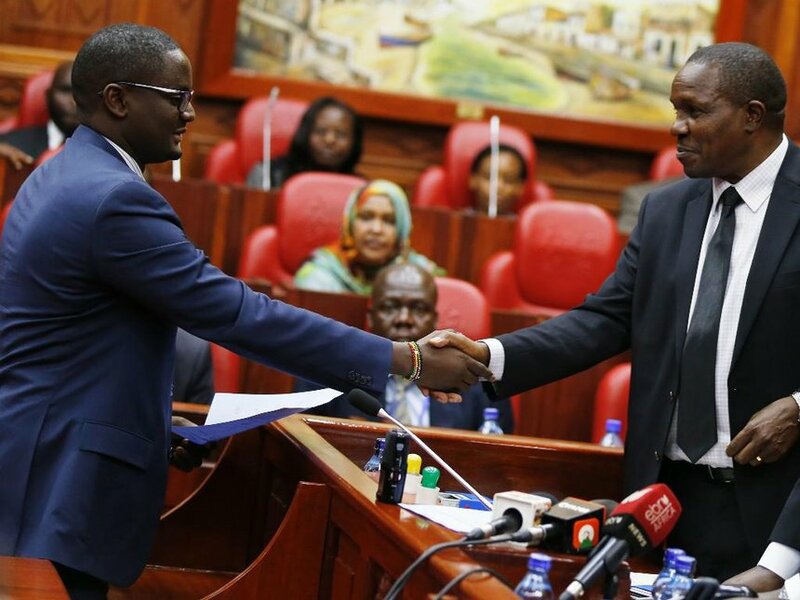 “We the undersigned, being the returning officers for the purposes of the above mentioned elections, hereby jointly submit to you the names of the persons duly elected by the Parliament of Kenya as members of EALA,” they said in the letter on Friday. Jubilee has five representatives at EALA, while NASA has four. The ruling party’s members are Simon Mbugua, Mpuru Aburi, Flowerence Jematia, Wanjiku Muihia and Adan Mohammed Nooru. The Opposition is represented by Kennedy Musyoka, Oburu Odinga, Fatuma Ibrahim and Abdikadir Aden. The Kenyan representatives are expected to be sworn in over the weekend in Tanzania. House business had stalled due to lack of contribution from Kenyan representatives in important committees. The election of the representatives was delayed by standoffs between Jubilee and NASA during nominations.